San Leandro, CA - When Don La Rosa first set out designing a two-up seat for Sportsters, he decided that it needed to be comfortable, look good, have style, easy to install and fit as many models as possible. What he came up with was the La Linea Café Seat. 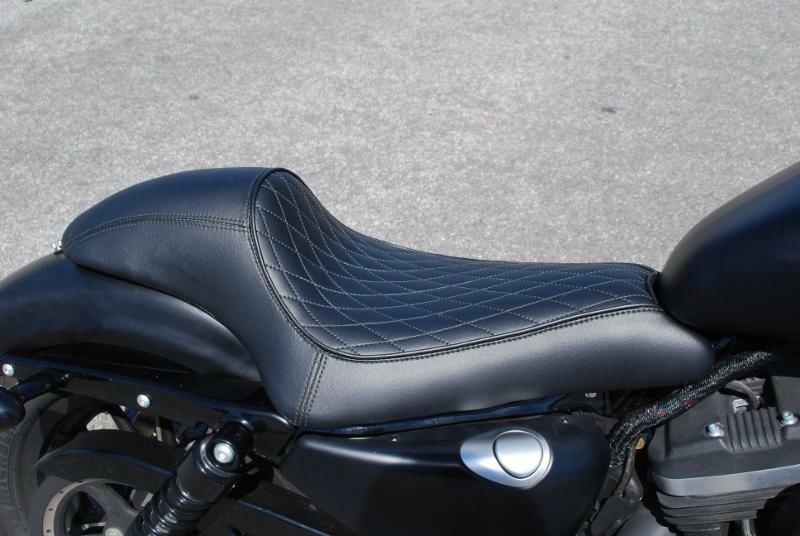 These full size café style seats have been to designed to fit all 2004 and up Sportster models regardless of the tank size with the exception of the XR 1200's. To achieve this broad fitment, Don La Rosa began by designing a seat pan to fit the rubber mounted frame that was introduced in 2004. He then modified it to accommodate the MotorCompany's relocation of the ECU that was introduced on all Sportsters in 2010. Finally Don created two different seat profiles; the La Linea which translates to the "The Line" and the La Linea Sottile which translates to the "The Thin Line". All La Linea seats uses a fiberglass seat-base and steel hardware for strength and stability. Comfort comes from using the finest high-density foam. The eye catching style and durability is provided by a top quality marine grade vinyl cover. These seats are available with a Plain Black finish or with a Tuk N Roll, Diamond Tuk, or Flame pattern sewn into them. In addition when selecting one of the pattern seats consumers have their option of thread colors to pick from. The best part of all is the MSRP is an affordable $299. 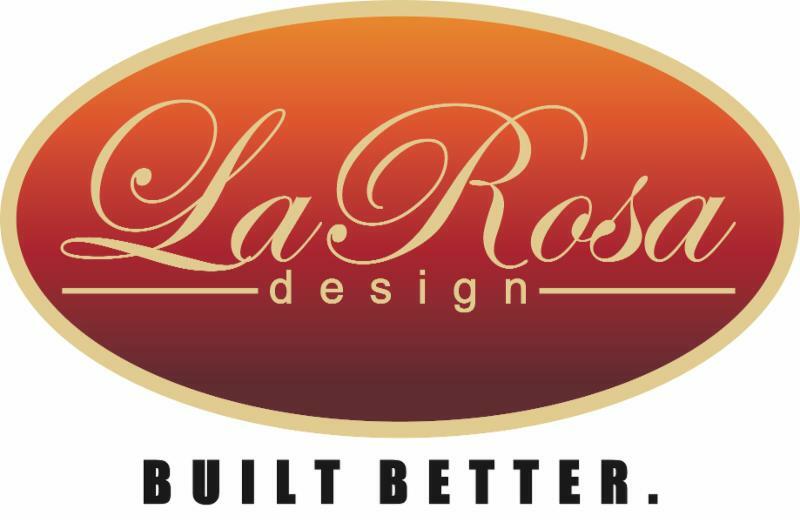 As with all of La Rosa's products, the La Linea seats are proudly made in the USA. For more information on these products call La Rosa Design at 510-567-4157; E-mail them at Info@LaRosaDesign.us or visit www.LaRosaDesign.us.